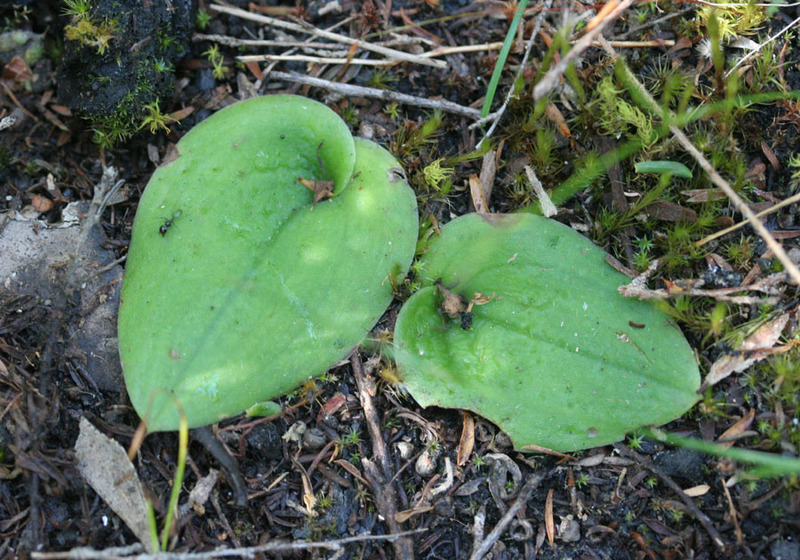 A genus of two species both having large, flat, ground-hugging leaves. 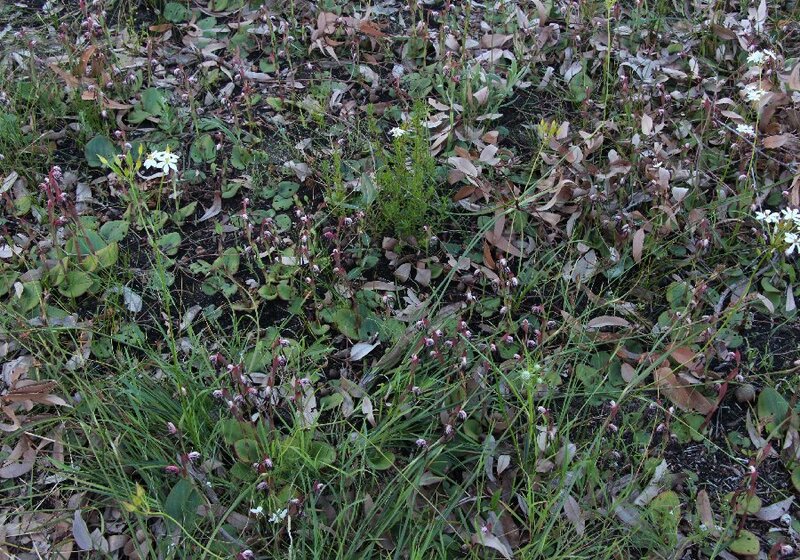 They will flower only after a hot summer fire but when this occurs, they will flower in profusion. 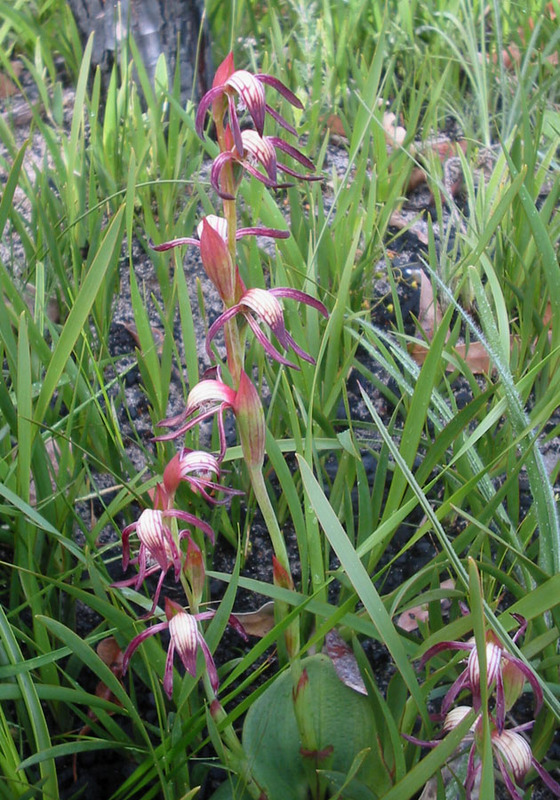 Red Beaks are very common throughout the south west, while Pink Beaks are restricted to the lower south west. 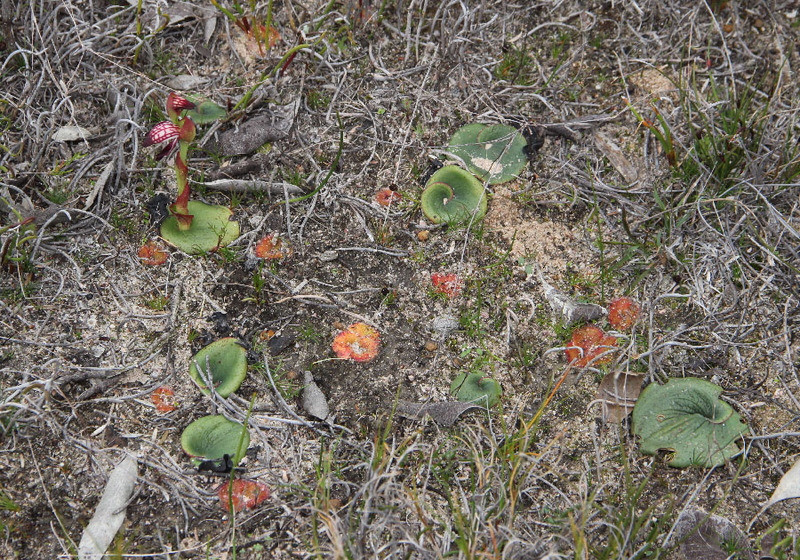 Red Beaks are usually seen as large colonies of leaves. 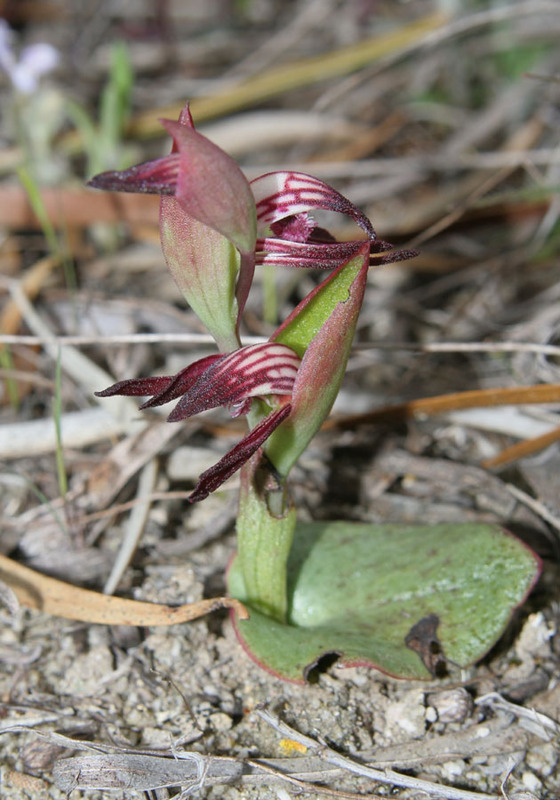 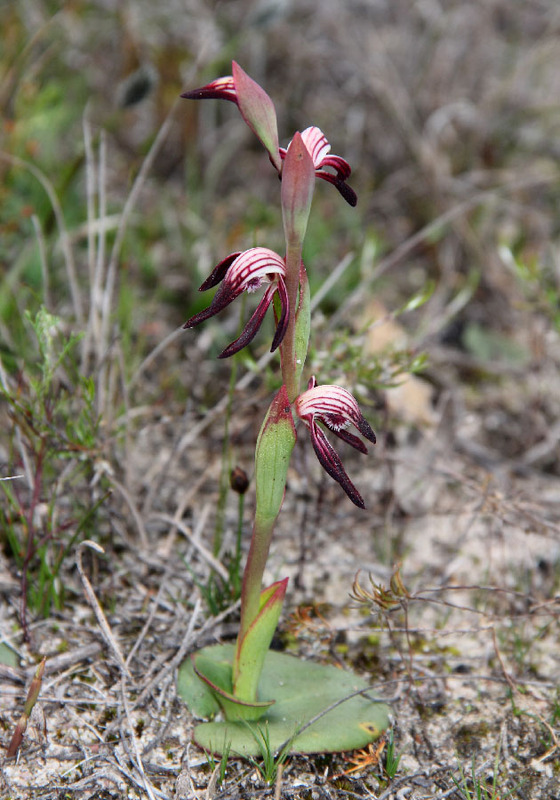 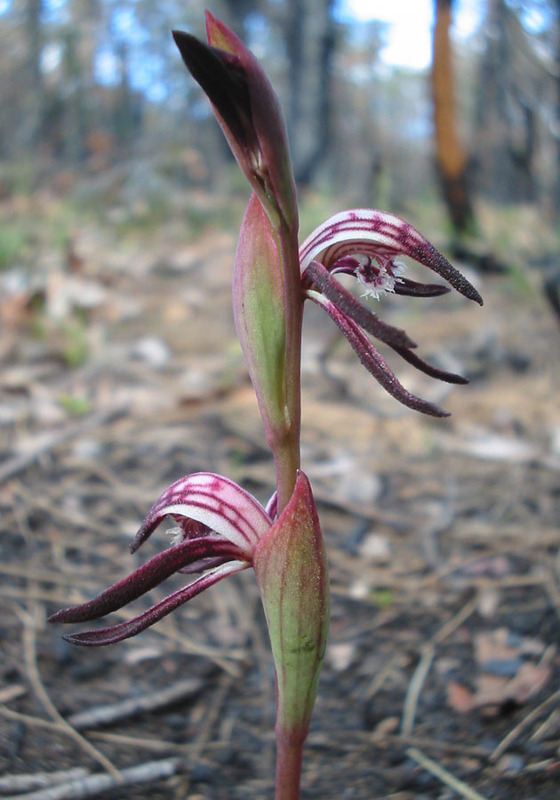 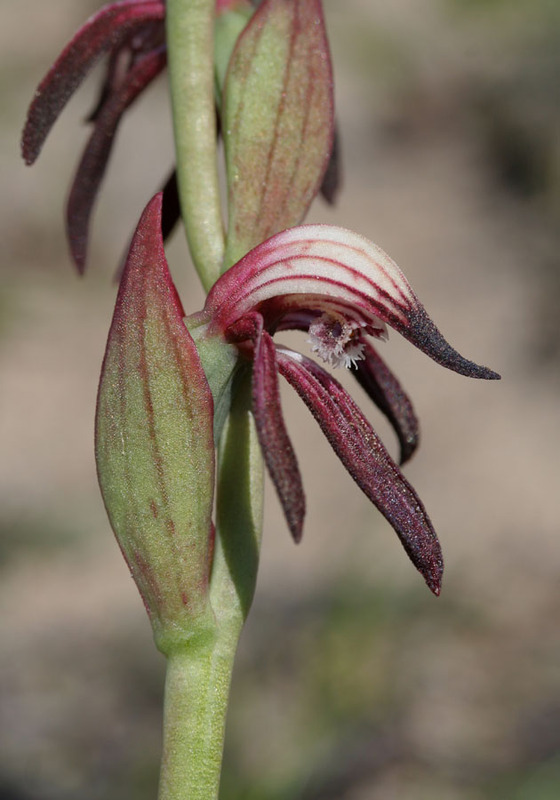 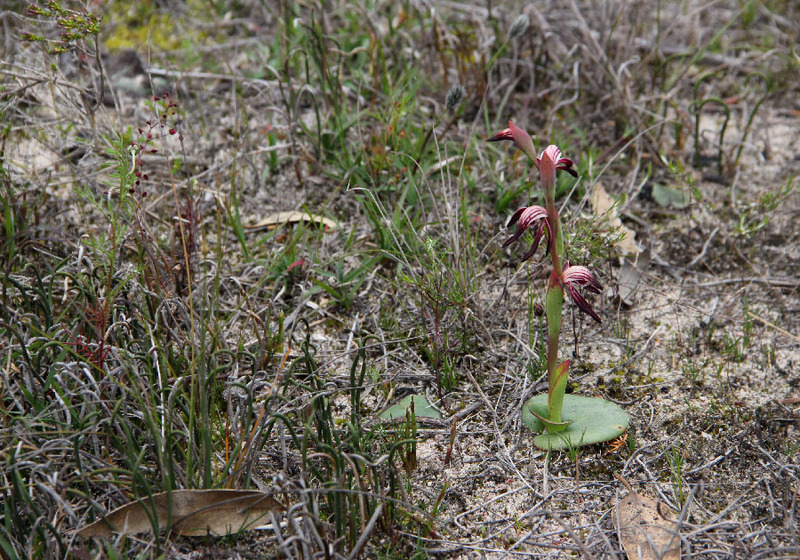 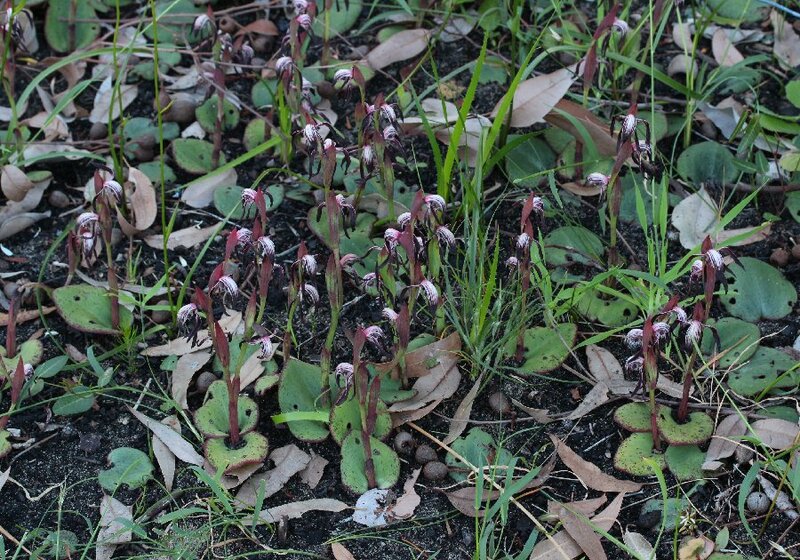 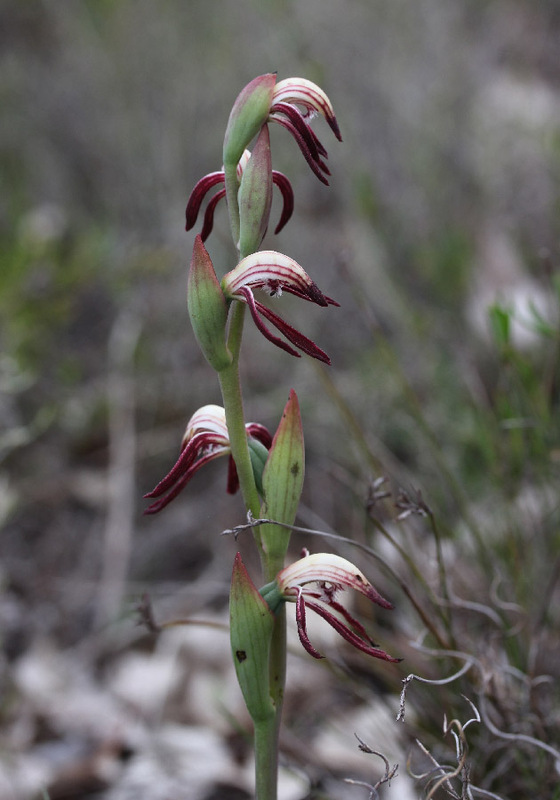 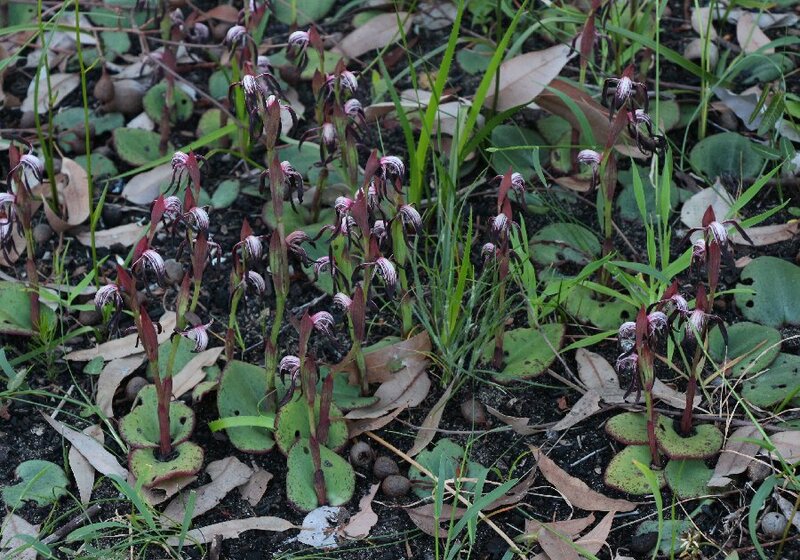 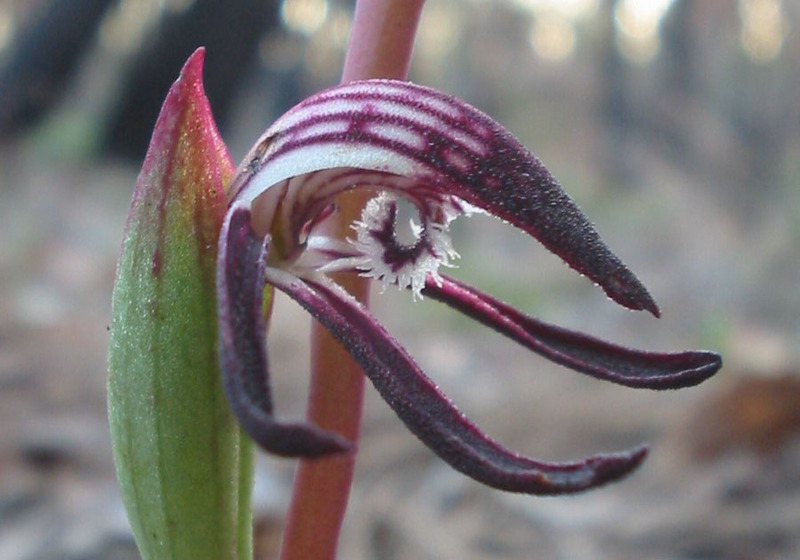 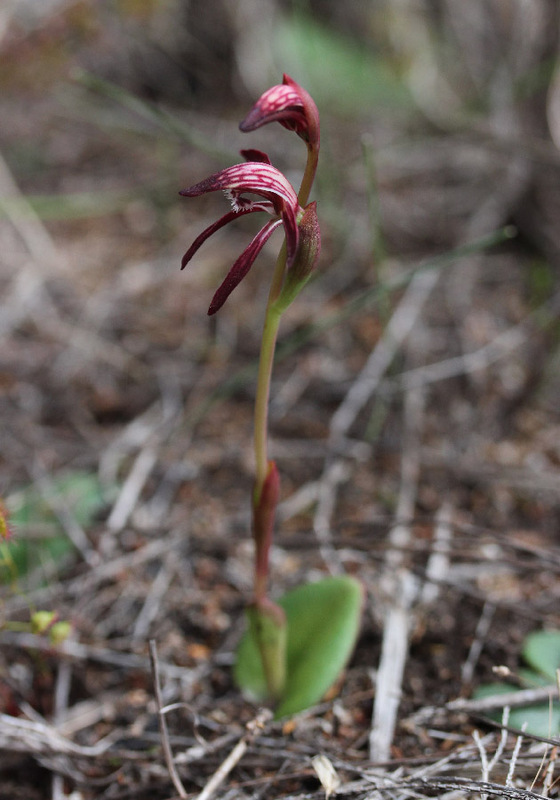 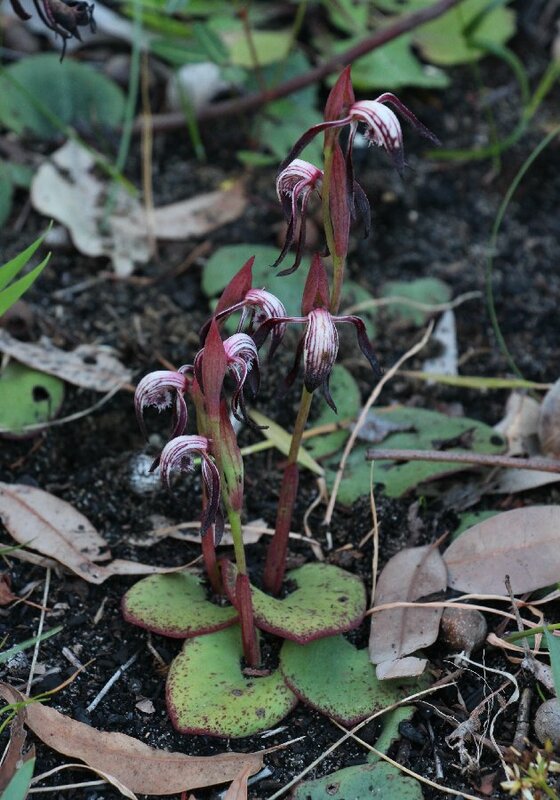 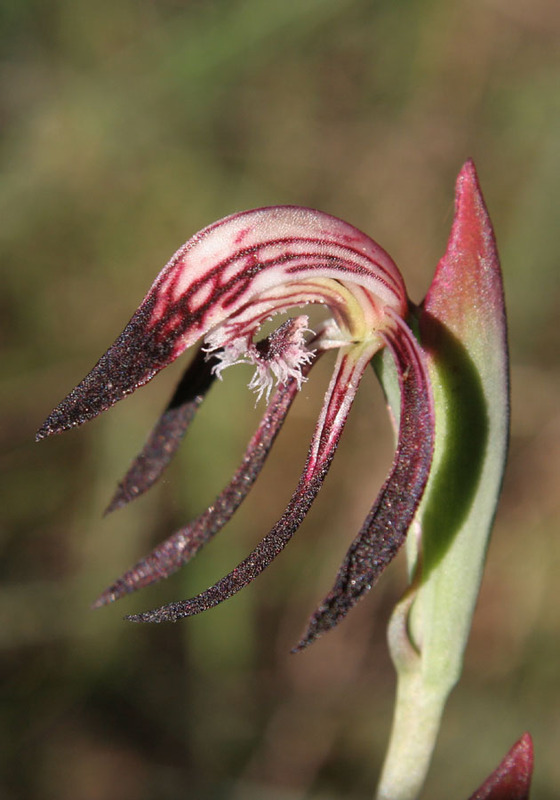 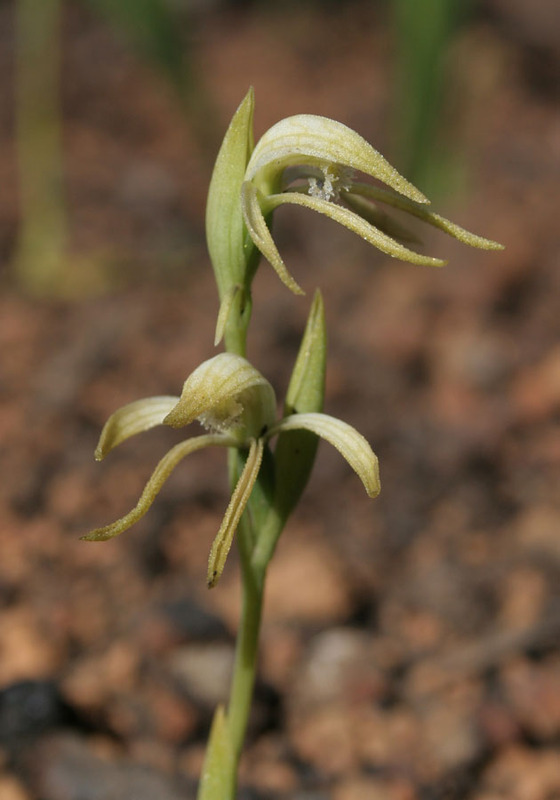 They will occasionally flower in unburnt bushland and there are rare populations that flower every year. 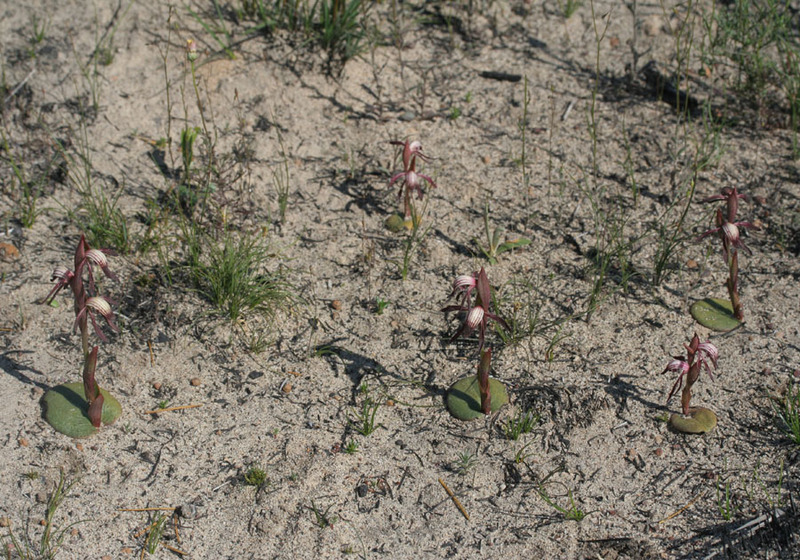 The vast majority, however, will patiently wait till after a hot summer fire. 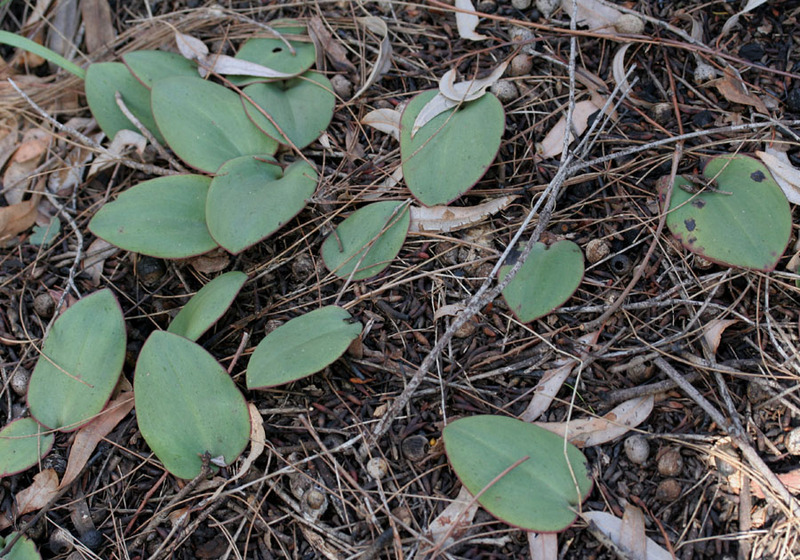 It appears that their leaves get bigger each year - up to 20cm long. 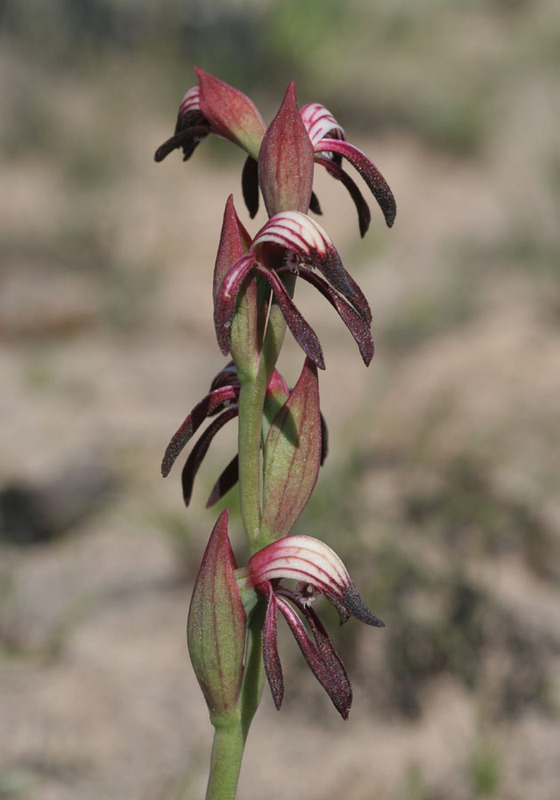 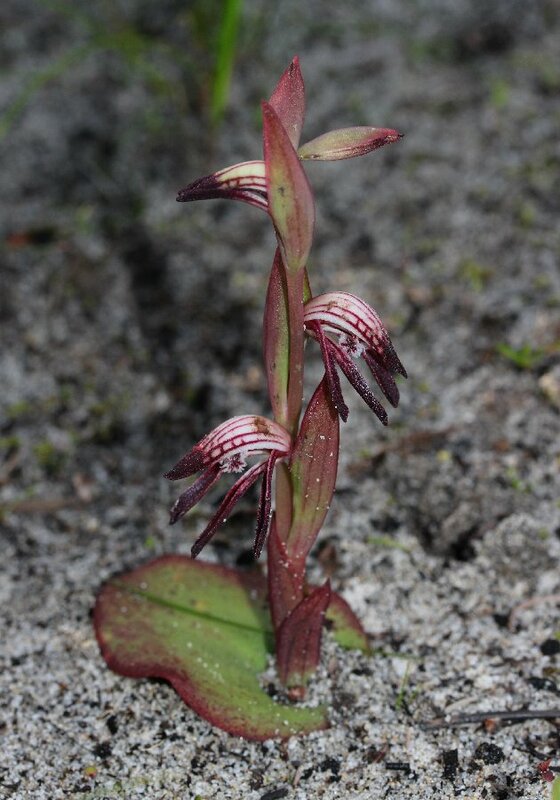 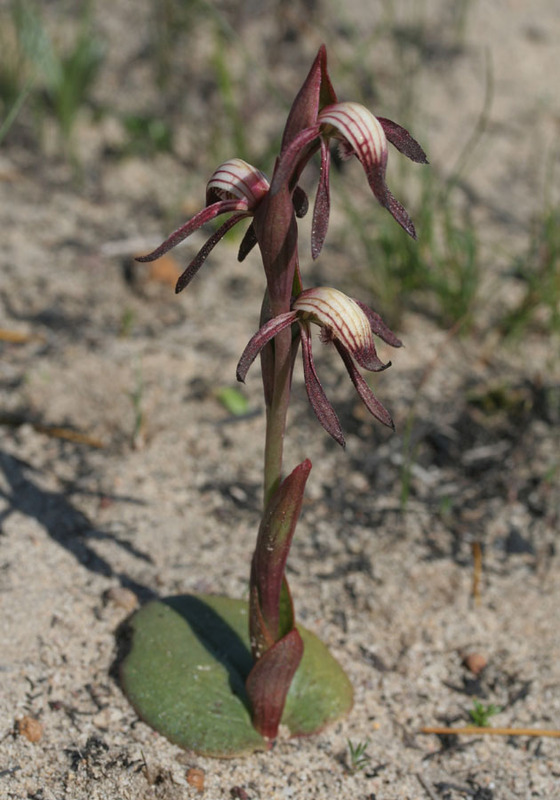 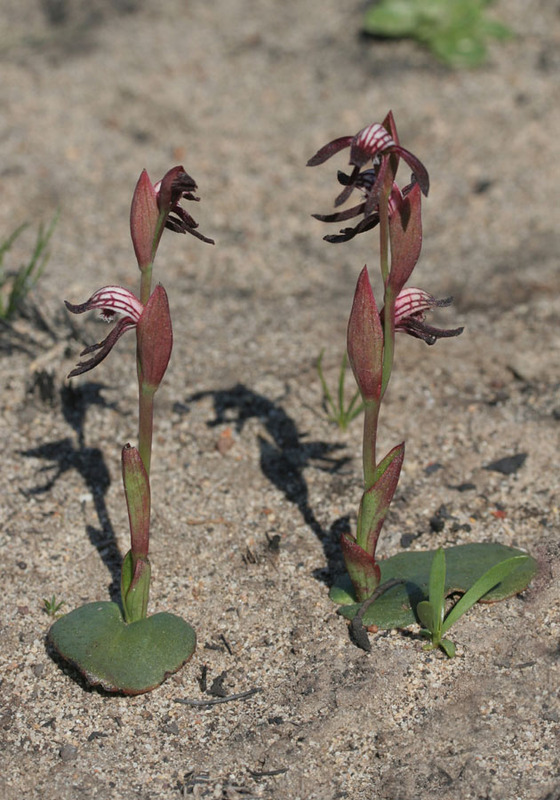 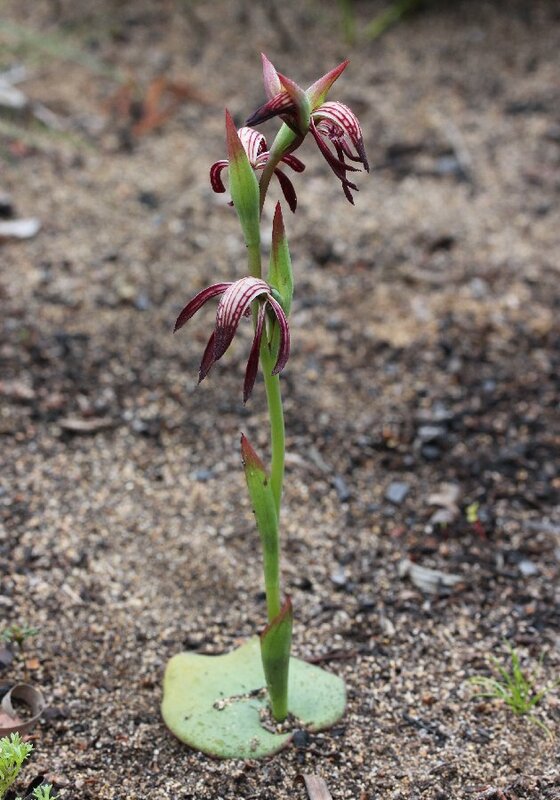 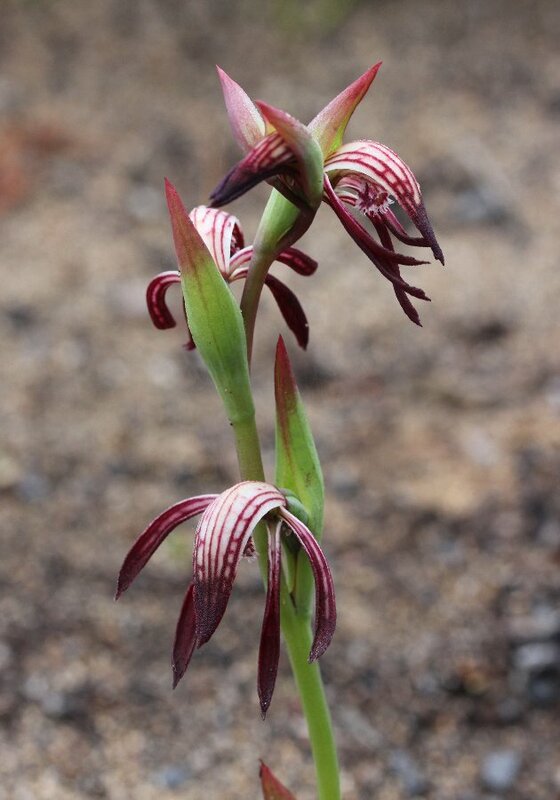 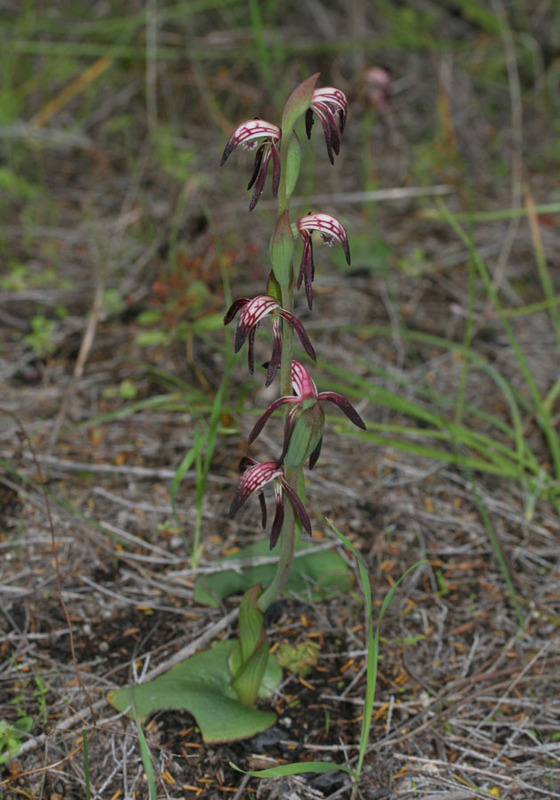 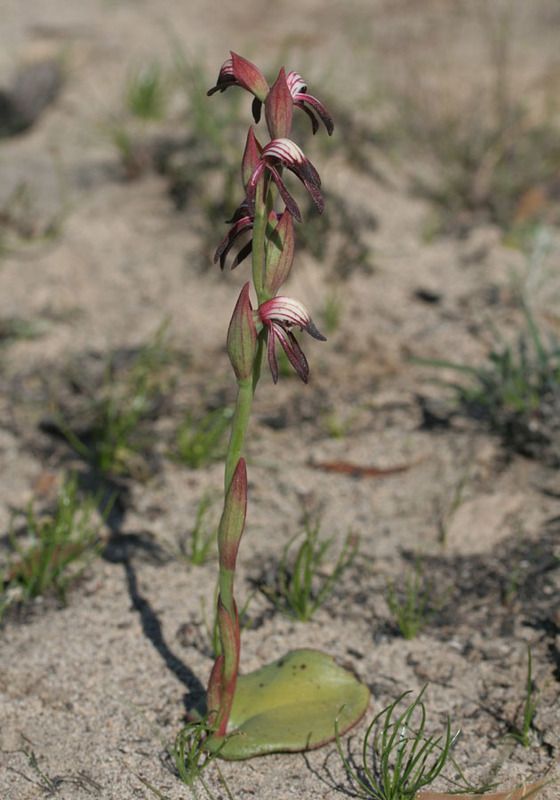 However, once the plants flower, the leaves return to the more usual 5-8cm long. 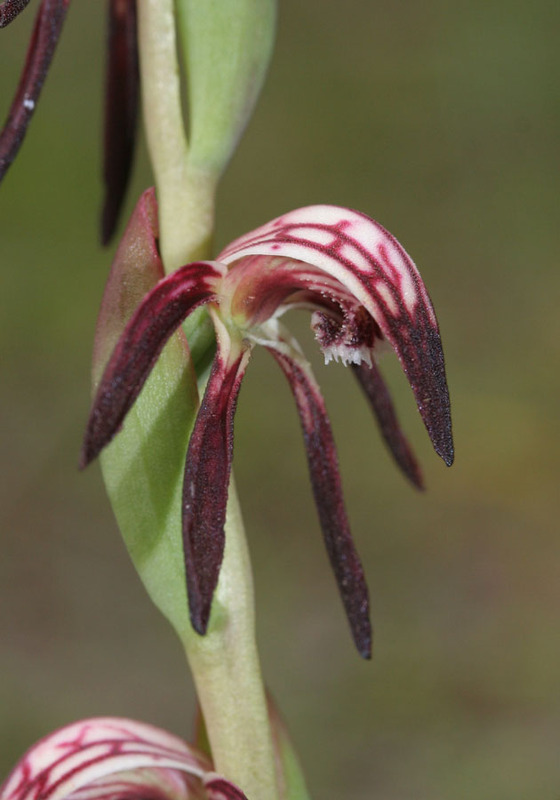 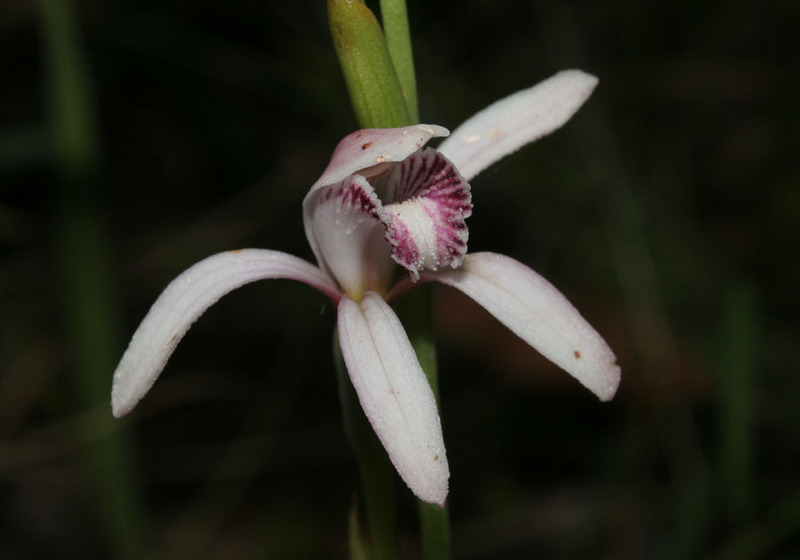 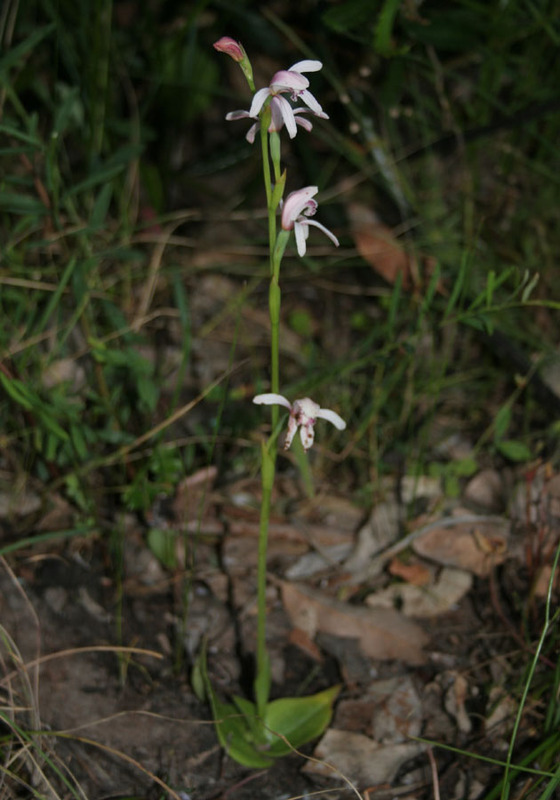 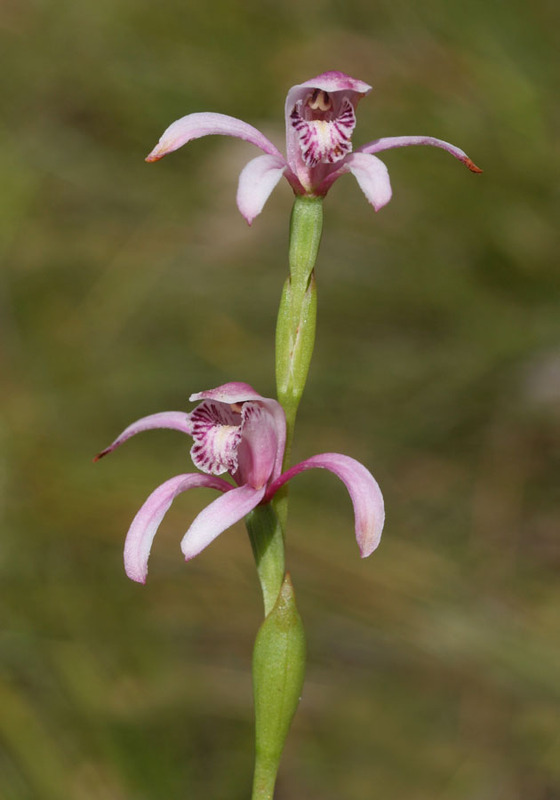 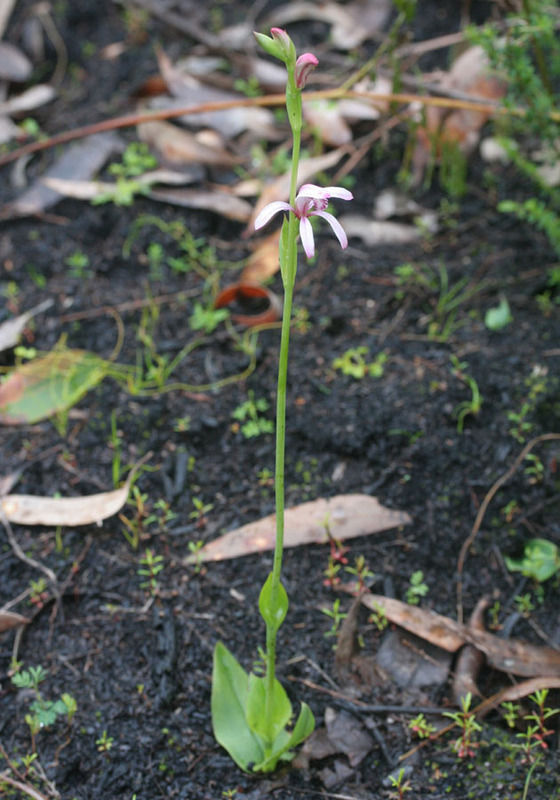 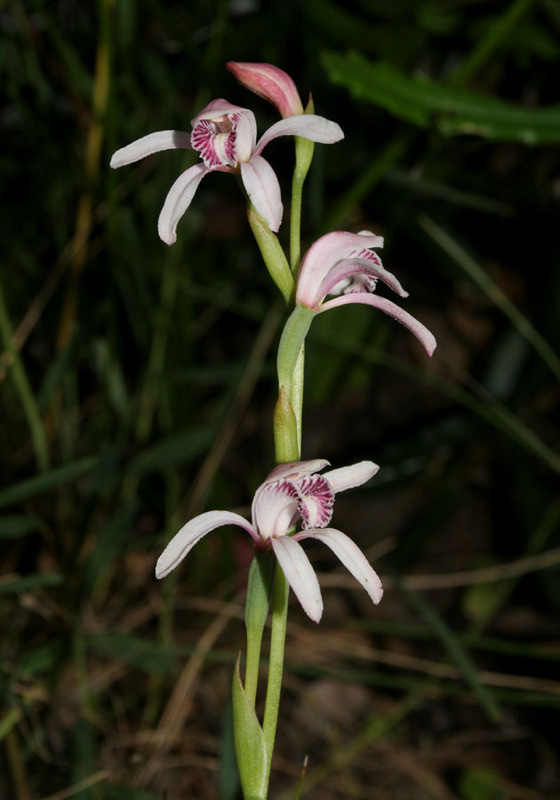 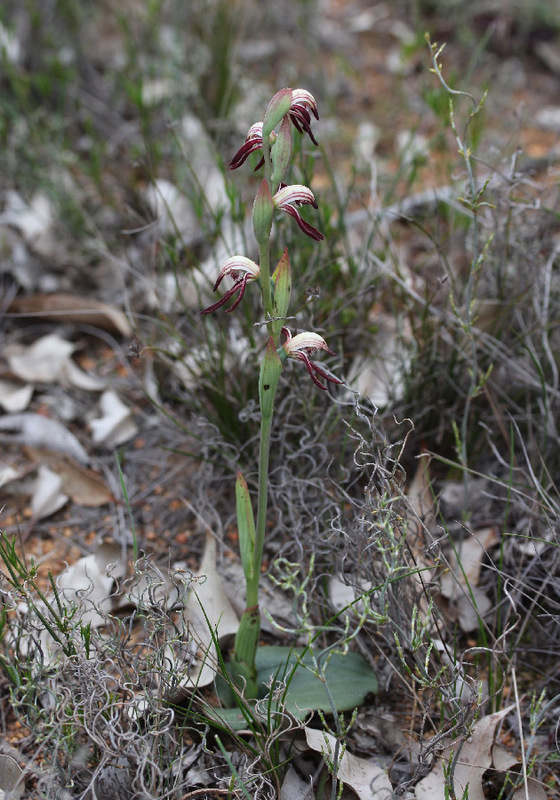 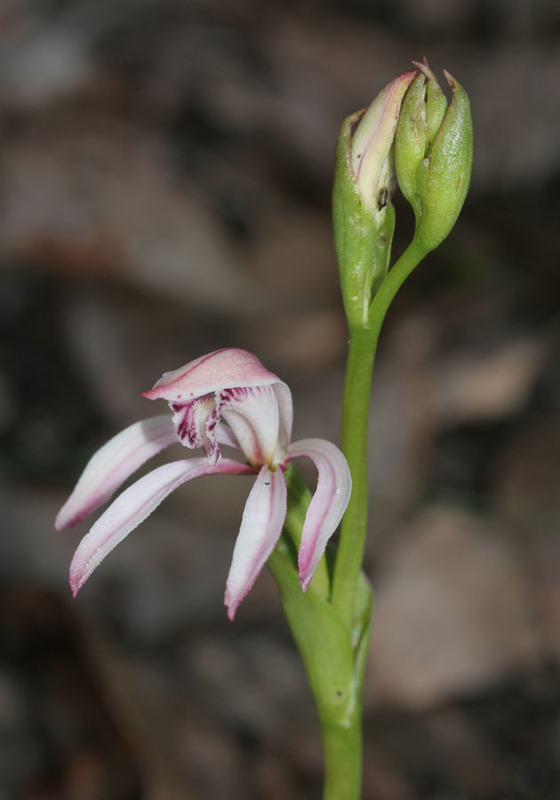 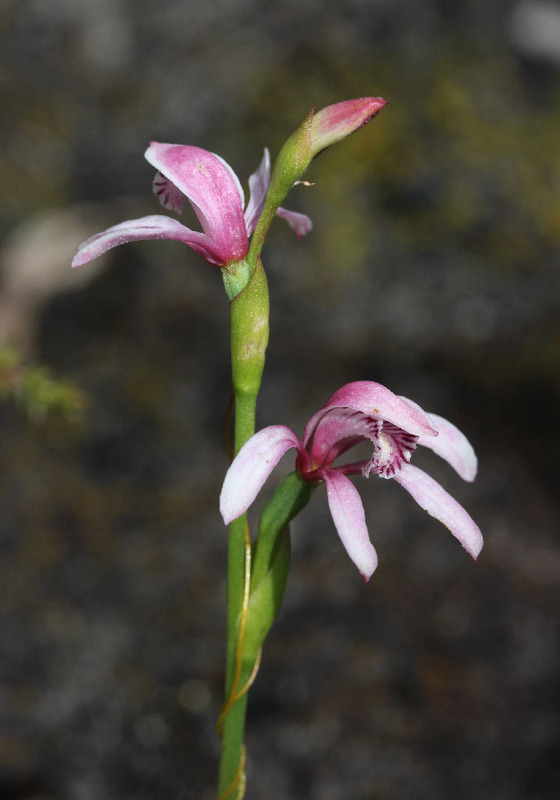 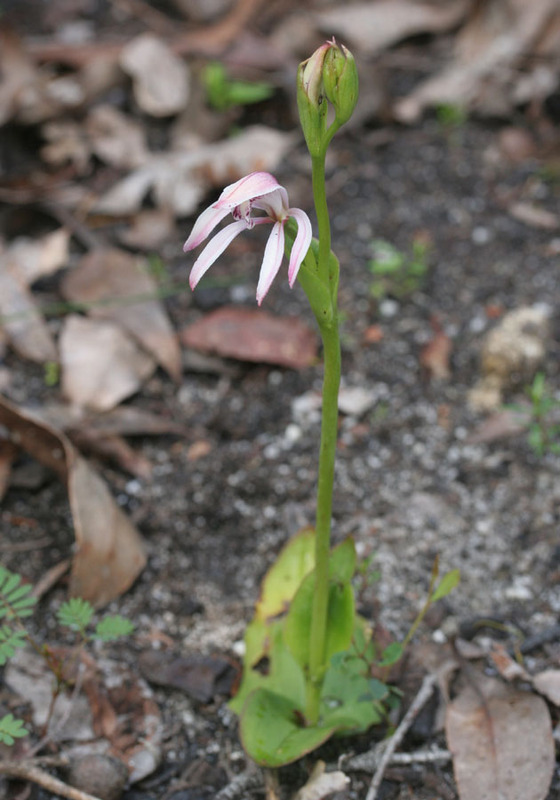 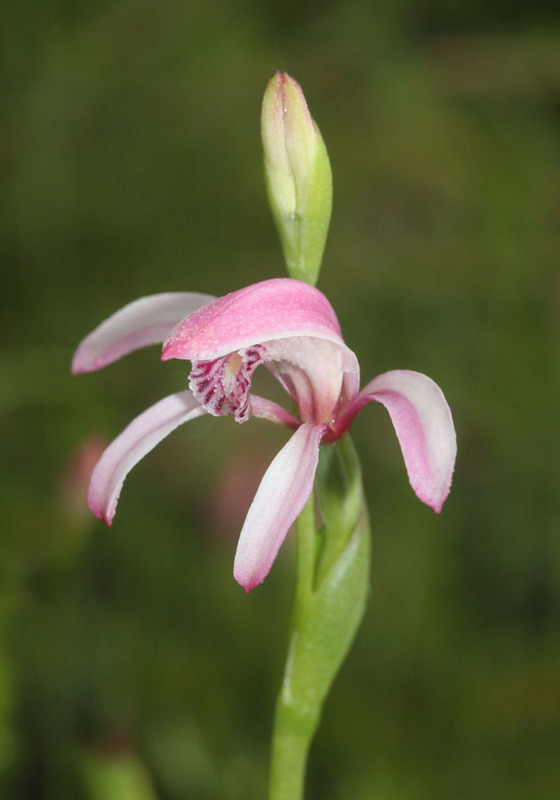 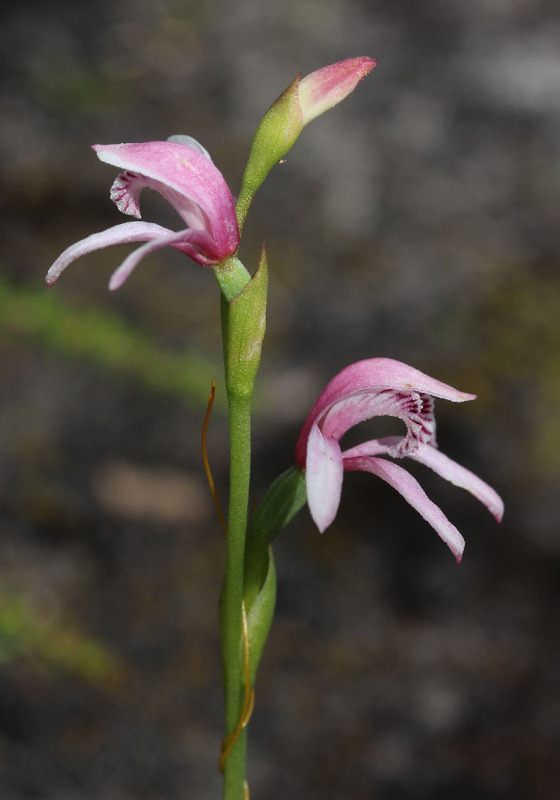 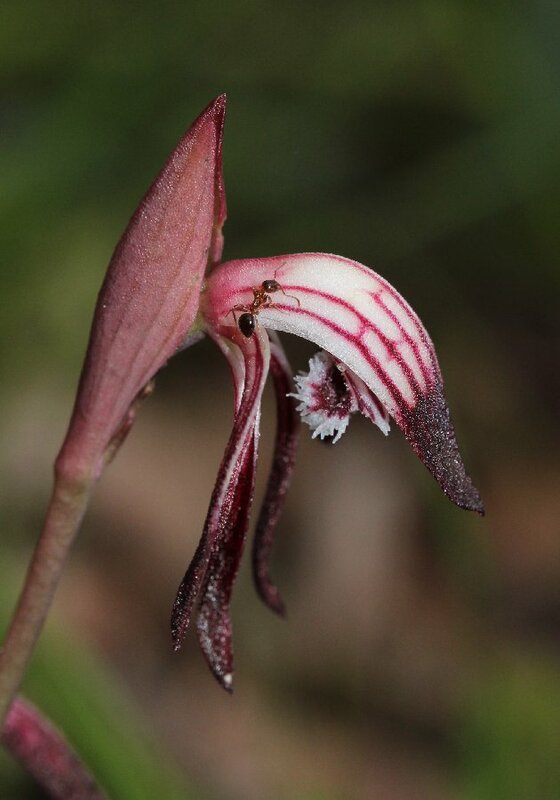 Easily identified by the white and pink flowers, this orchid is usually found in association with paperbark trees and can form dense colonies. 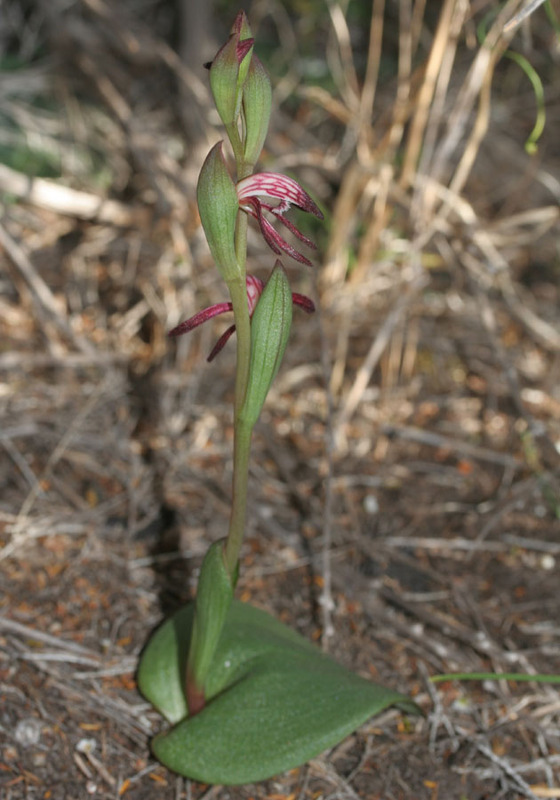 It flowers later than the Red Beaks, from early October to early December.